Most people shower regularly, and most people shed hair. Some more than others, of course. 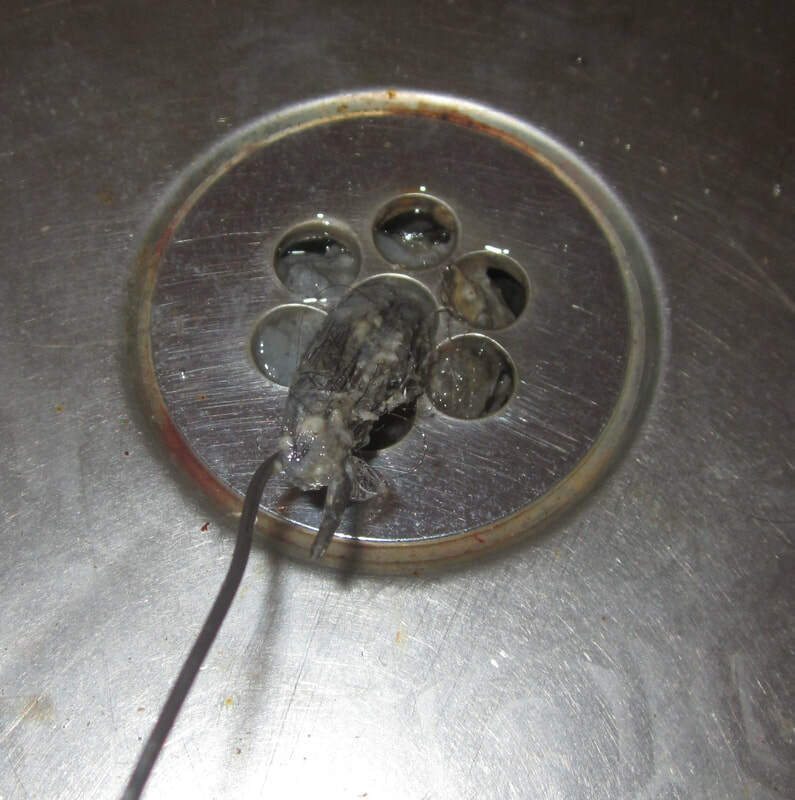 The result can be hairballs in your shower drain, slowly clogging the drain and causing problems. Here I show you easy, natural ways to clear the drain AND clean and refresh it. I do remove obvious hair from the drain nearly every day, but inevitably, some slips through, down into the pipes. Pipe work under a shower will have some sort of bend in it - a u-bend or s-bend or similar. This is great if you happen to drop your ring down the plughole and need to retrieve it, as the ring will be not far down. 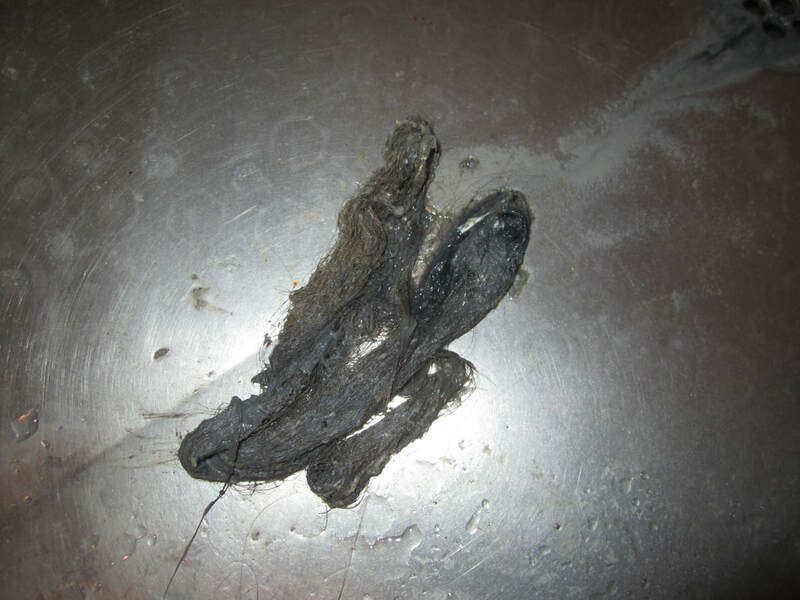 But it also provides a collecting point for any debris, including hair, that goes down the plug. In fact, hair has this thing - it likes to hang out and wait for it's mates to turn up, then twist and wind itself together, becoming denser over time. Add in soap and dirt getting trapped there, and in time, your shower drain runs slower and slower, until you end up with water up around your ankles every time you shower. Reach for the nasty chemicals. Nasty. And costs money. Get a piece of fairly thin, flexible but sturdy wire. I use lacing wire, which is also handy for all sorts of other jobs about the homestead. Cut a length about 30cm long. Use the side cutters on pliers to cut it. 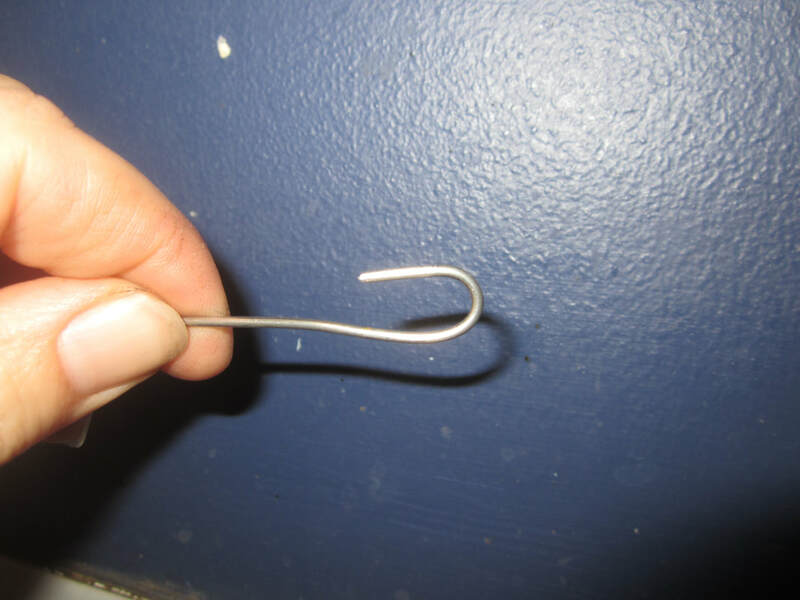 Then, hold one end of the wire in the jaws of the pliers, and bend it around to form a small hook. This hook needs to be narrow enough to slide down the centre of the drain holes, but wide enough to hook on stuff. Insert the hook end of the wire down the plug hole, until you feel some resistance - this will be the hairball. Give it a gentle, slow twist around so that it hooks into the hair. Then slowly lift the wire back out of the plug, drawing the hair with it. If you have quite a lot of hair trapped down there, it may not just all slide out of the plug hole, in which case grasp it with your fingers and draw it out. It will come. Wasn't that easy?! Pour 1 cup baking soda into the drain. Work it a bit so most of it goes down the plug hole. Give the area around the plug a bit of a scrub with some of it as you go. Pour in 1 cup HOT white vinegar (heat in pot on stove or in microwave). Let sit a few minutes. Then pour down a jug full of just boiled water. Done. :-) This combo does a good job of cleaning drains of soap scum, general dirt, and bad smells, but it won't dissolve hair, hence using the wire first.